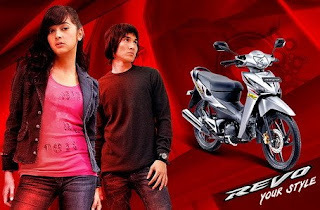 Body Revo yang ramping aerodinamis, menambah kesan sporty. Honda cs1 135cc and new revo 110 cc is very good for market. YES was please revo 125 cc? 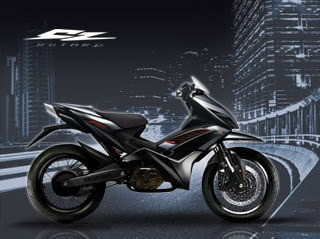 if in Thailand the just was launched was given by the Honda Wave name 125 x series! Whether what of Indonesia immediately following. That was certain ho you wave this berbody equally precisely with ho you revo yg was in Indonesia, the sticker difference striping aja. bermesinkan the machine supra x 125, how yes it seems? Definitely him revo 125 that more ngacir because the machine was bigger but body him was lighter 1,5 kg than supra x125. 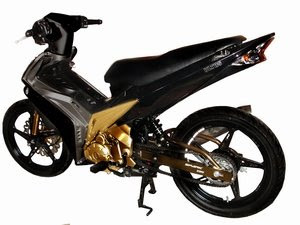 for the braking part, this motor has been equipped disc brakes for the front wheel part and behind.Honda immediately issued Honda Icon (matic the brother Vario) in June ini. after icon still was 2 again, one sport motor and other the duck motor yg pure baru. was warned the duck motor was the development from Honda Revo and the motor the sport was Honda CBR yg was modified as PT.AHM modified Honda Sonic to Honda CS-1.